Envy Lacquer will be releasing a summer collection tomorrow, June 26, 2015 called Seven Sins of Summer, and it comes with a gorgeous glitter topper! Below you will see swatches of each color, as well as my feelings on each Enjoy! Ok, up first, Wrath! 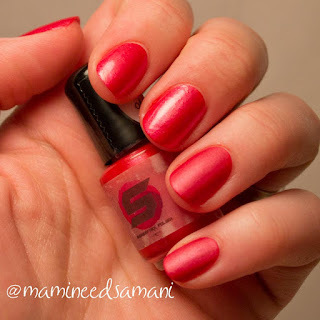 This is a gorgeous red! It's almost like a neon coral red with gold shimmer in it. It really is pretty. In the swatch, it's shown with 2 coats on my index and middle finger, and just one thick coat over white on my ring and pinkie. I've alternated OPI top coat on my index and ring finger, as well as Wet & Wild matte top coat on my middle finger and pinkie. 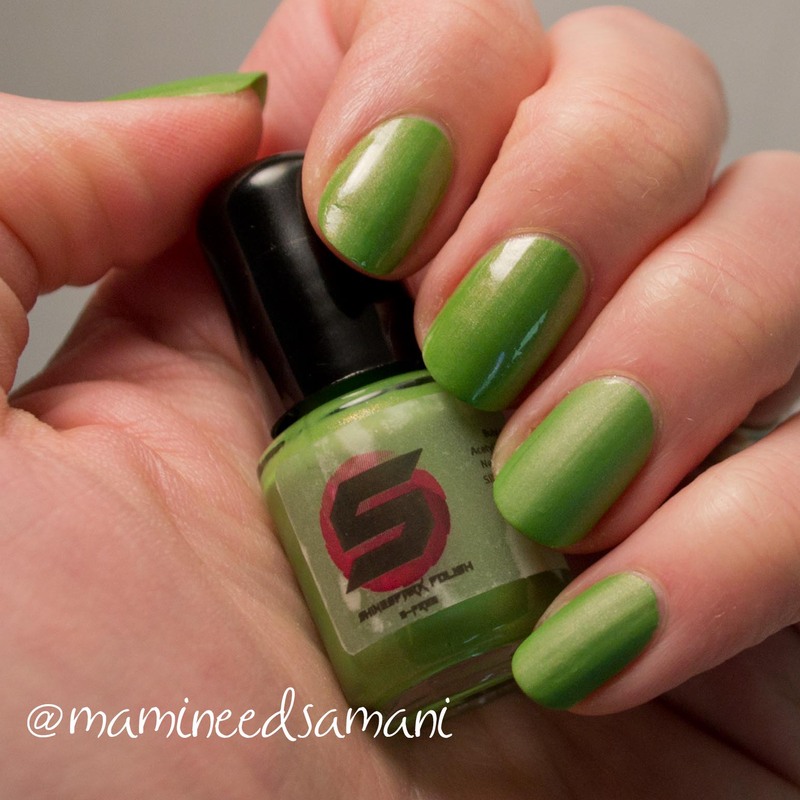 The formula was good, and with the slightly thicker application of the ring and pinkie, it had good coverage and was pretty easy to work with. Next, I have Glutton. 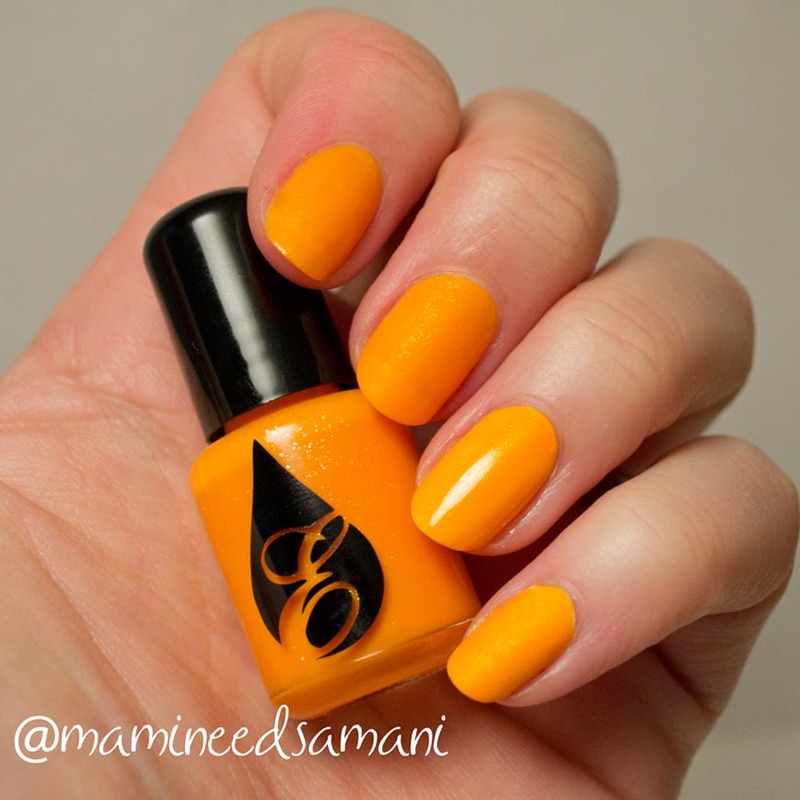 This one is a super pretty creamy neon orange color with a nice gold shimmer again. 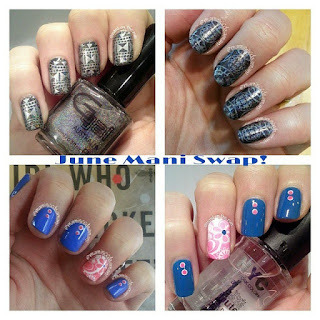 In the swatch, I've shown it with two coats on bare index and middle nails, as well as over white on my ring and pinkie finger. Again, I alternated OPI top coat on my index and ring finger, and Wet & Wild matte top coat on my middle and pinkie finger. The formula on this one was a little thick, went on kind of streaky, and it was kind of hard to work with. Third, I have Greed! 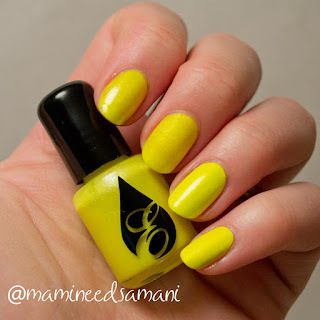 Here we have a darn near dead ringer for highlighter yellow! Just LOOK at that color pop! 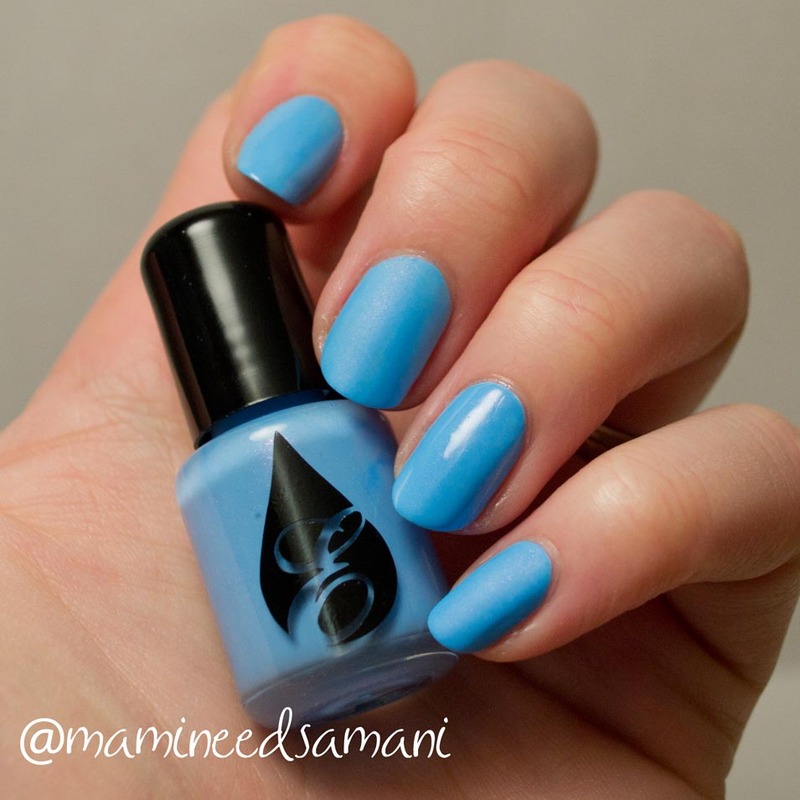 In this swatch, I have it shown with three coats on bare index and middle finger, and two coats over white on my ring and pinkie. Alternating OPI top coat on my index and ring finger, as well as Wet & Wild matte top coat on my middle finger and pinkie. The coverage with this one was a little streaky, and that made for a somewhat difficult application. However, if you use thicker coats, it does work a bit nicer. Next up is Envy. 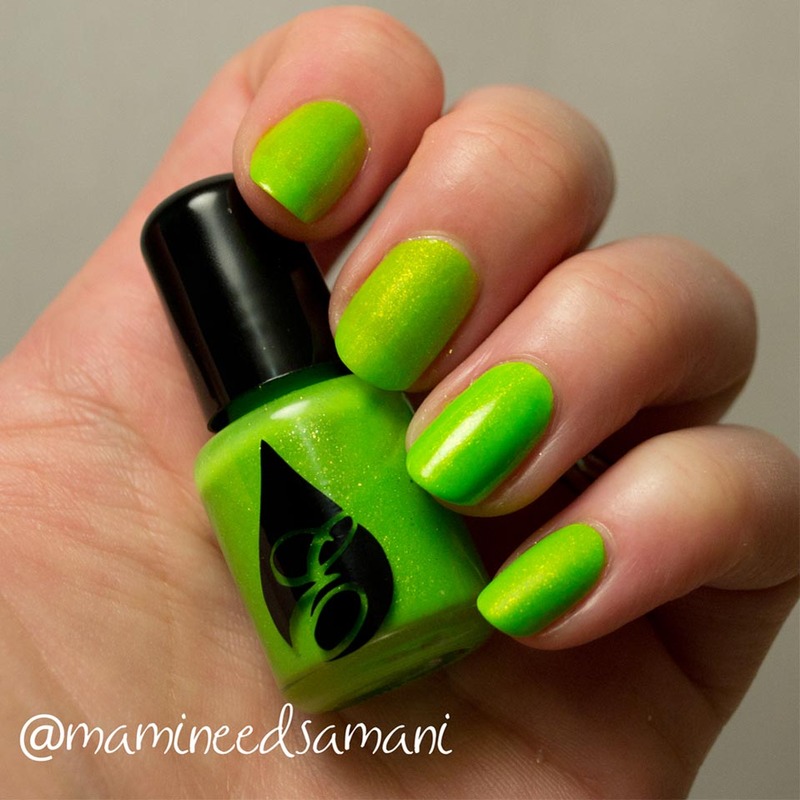 This is a bright neon green shimmer, which I've lovingly dubbed Envy (2) because I own another polish by Envy Lacquer with the same name. ;-) Anyways, in the swatch, it is shown with three coats over bare index and middle nail, and two coats over white on my ring and pinkie. As with all the other swatches, OPI top coat on index and middle, Wet & Wild matte top coat on middle and pinkie. Coverage again was a little streaky which made the application a little tricky. The next swatch I have, is of Sloth. 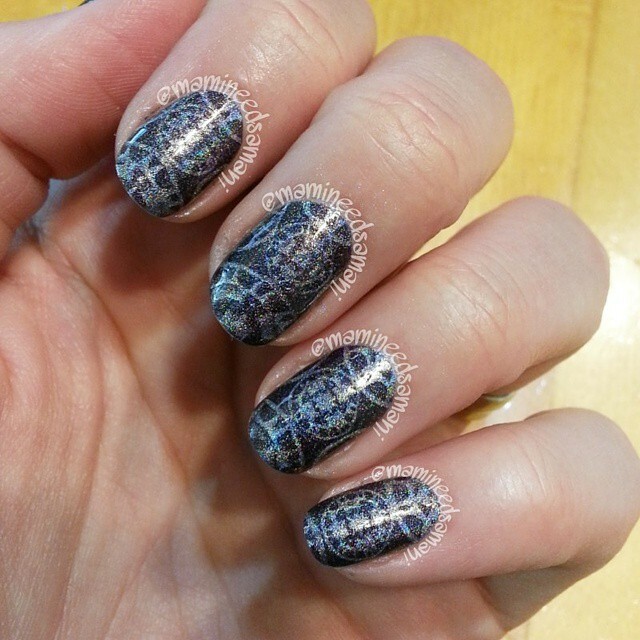 This is a super pretty pale blue with pink and purple shimmer. I adore this color!!! In this swatch, I did use the white undie again on my ring and pinkie simply for consistency with the whole collection. As you can see, it doesn't *really* need the white undie. 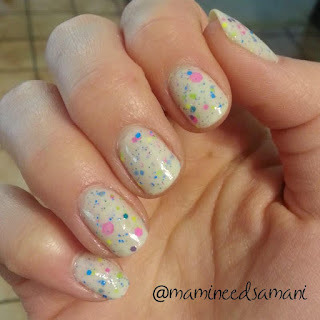 This is three coats on my ring and middle finger, two coats over white on my ring and pinkie. Again, OPI top coat on my index and ring finger, Wet & Wild matte top coat on my middle finger and pinkie. The coverage was ok, slightly thick and a bit streaky. The application was a little tricky for me, just don't overwork it and you should be ok! Lust...oh Lust, how I enjoy you! 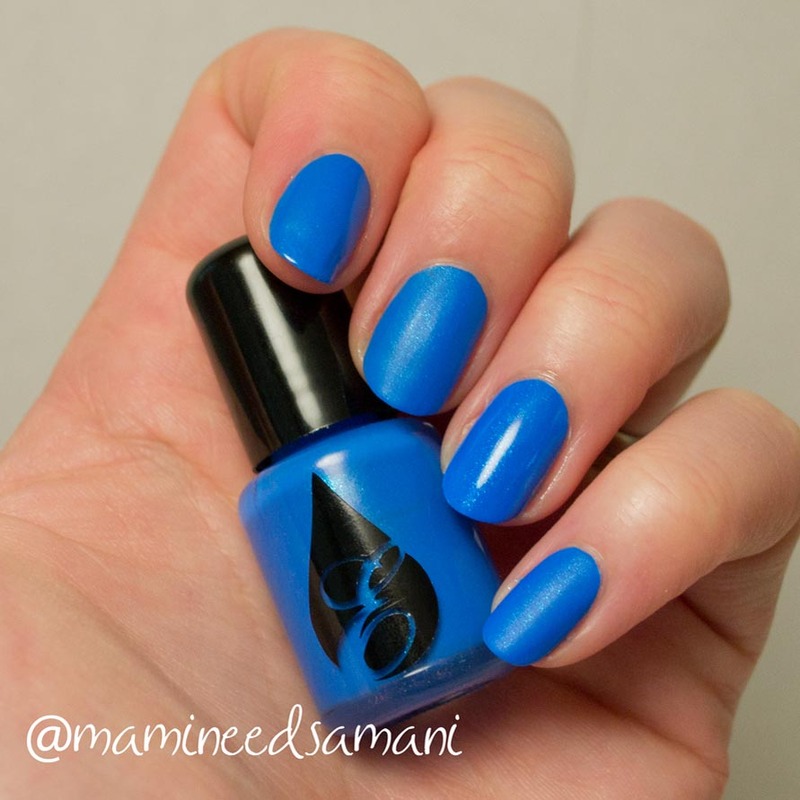 This gorgeous royal blue with a pale blue shimmer is just gorgeous. 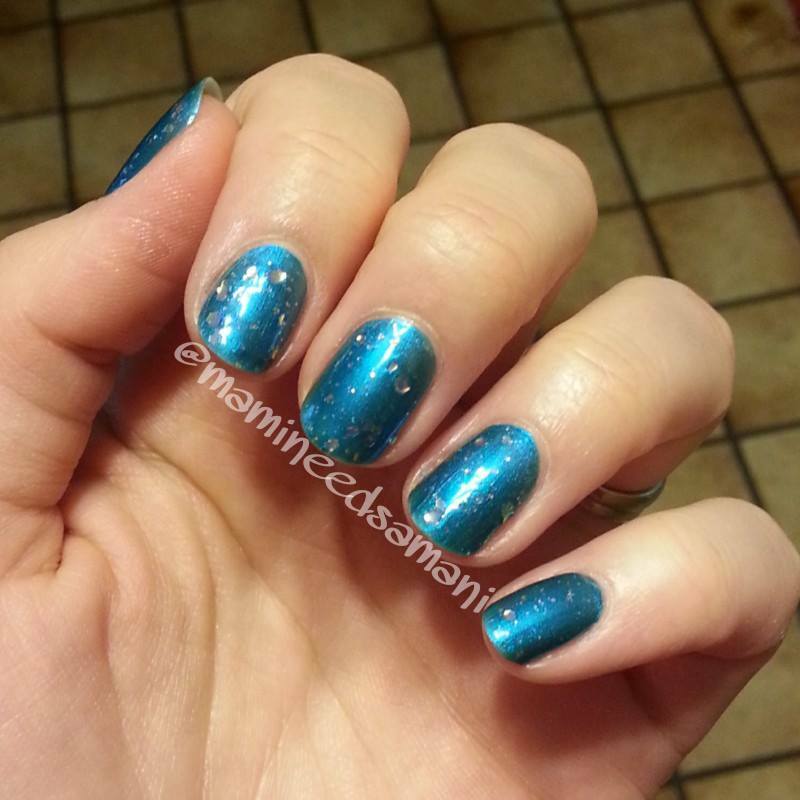 I liken it to Pacific Blue, only better, because shimmer! Again, for consistency, I used a white undie on my ring and pinkie nail. 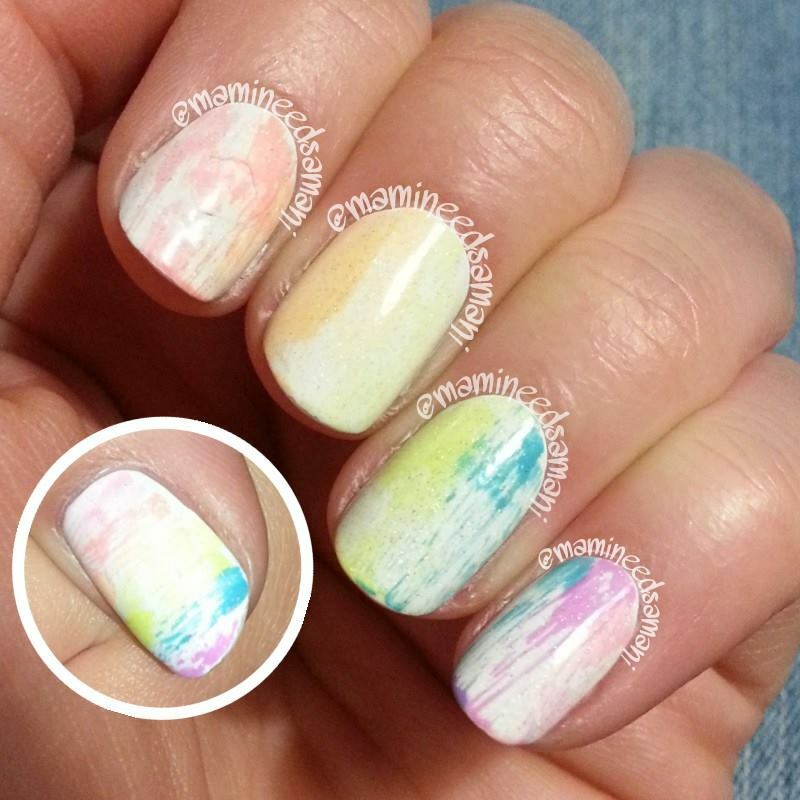 This is shown with two coats on my bare index and middle nails, two coats over white on my ring and pinkie nail. As you can see, this one also doesn't really need the white undie. 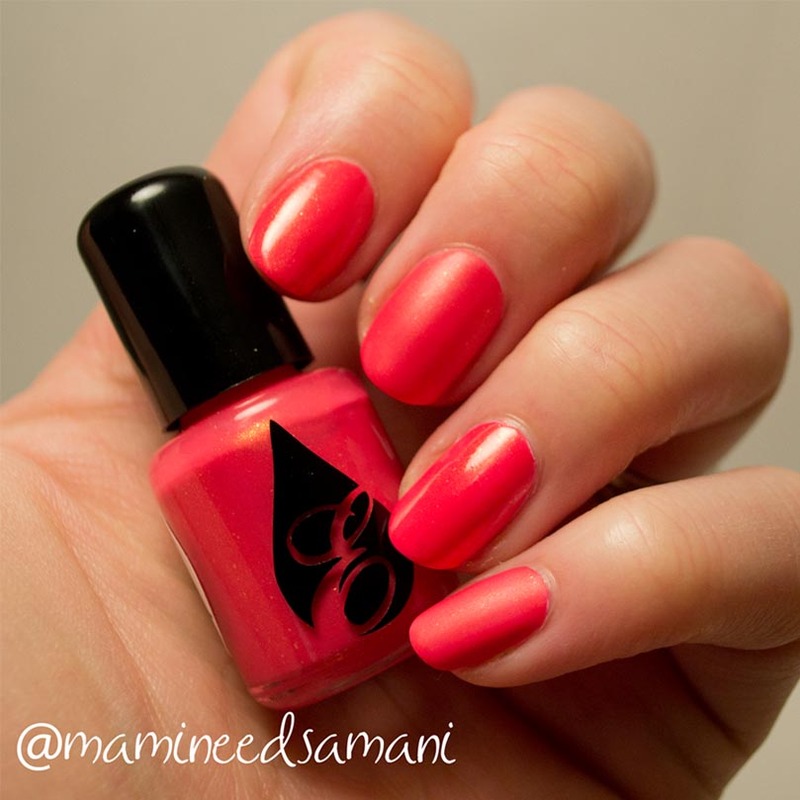 Alternated OPI top coat on my index and ring finger, Wet & Wild matte top coat on my middle and pinkie finger. The applications was ok with thicker coats, and coverage was pretty good! The formula was a little thicker than I'm used to, but not too bad. Next, Pride! This is a really pretty warm neon purple with blue, pink and purple shimmer in it. 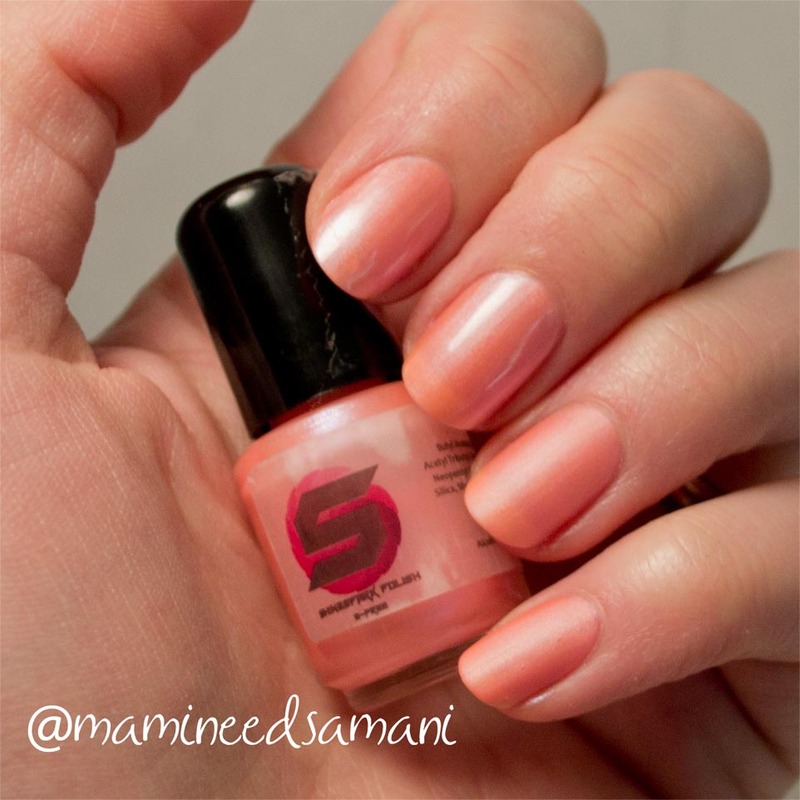 In the swatch it is shown as one thin, one thick coat over all of my nails, white undie on my ring and pinkie again. 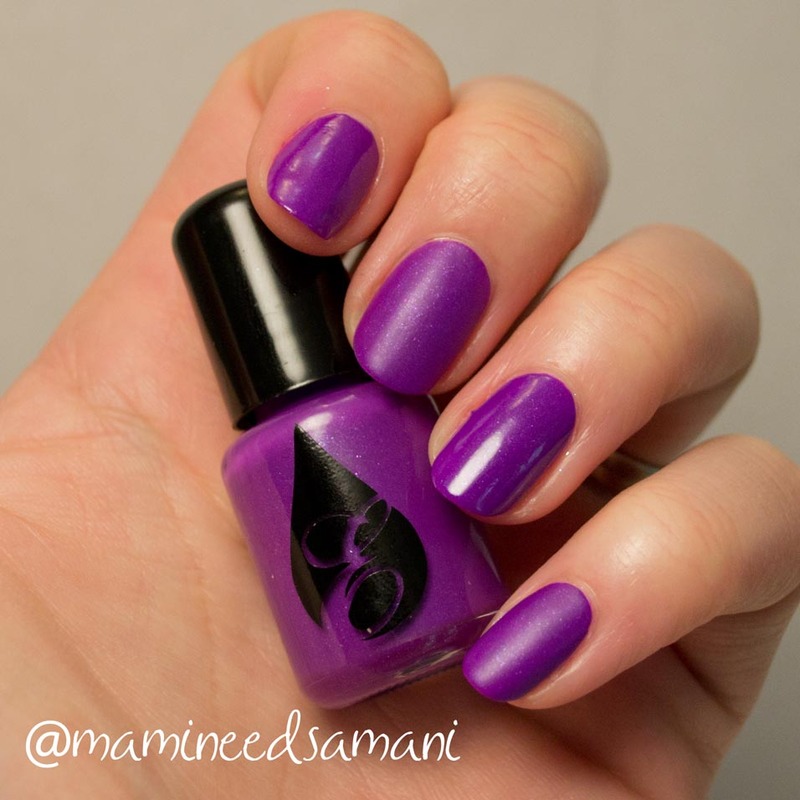 OPI top coat on my index and ring finger, Wet & Wild matte top coat on my middle and pinkie finger. It's a bit tricky, so don't overwork it! The coverage and application are ok with slightly thicker coats. Last but definitely not least, Sinful Summer! 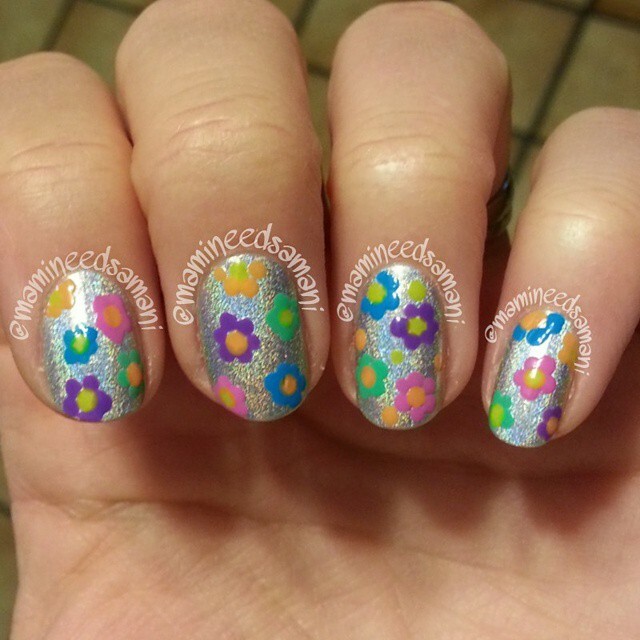 How FUN is this glitter?!? It's holo! It's glitter! It's neon! There are so many different kinds of glitter in this I don't even know where to start! 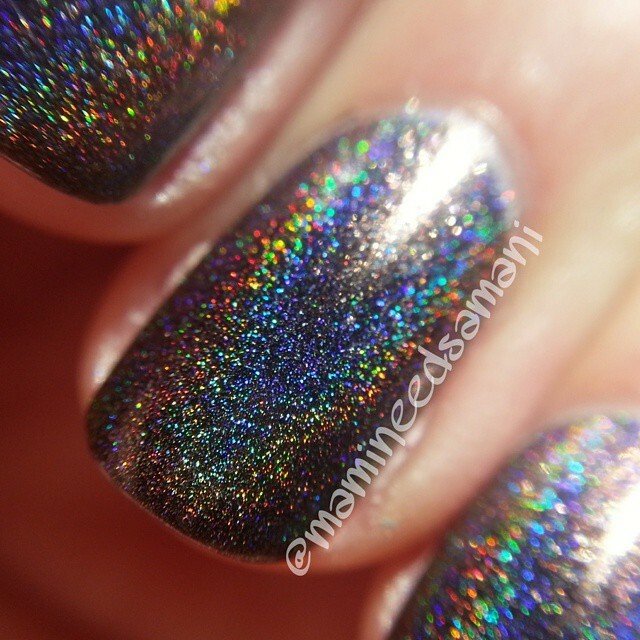 There are hex, square and micro holo glitters, as well as little neon glitters! 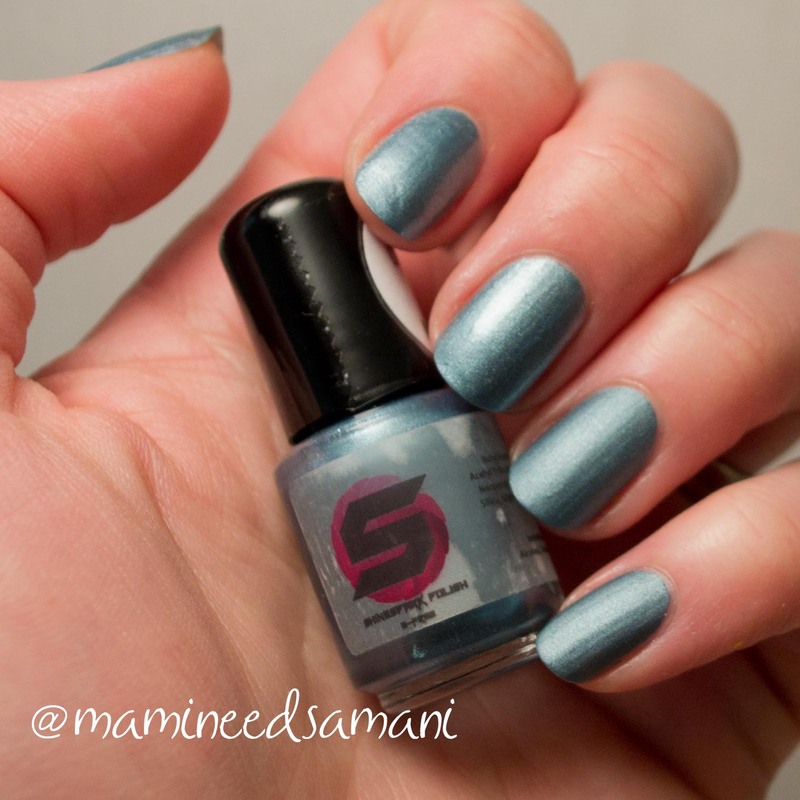 In the swatch, I'm showing one coat (perfect topper!) 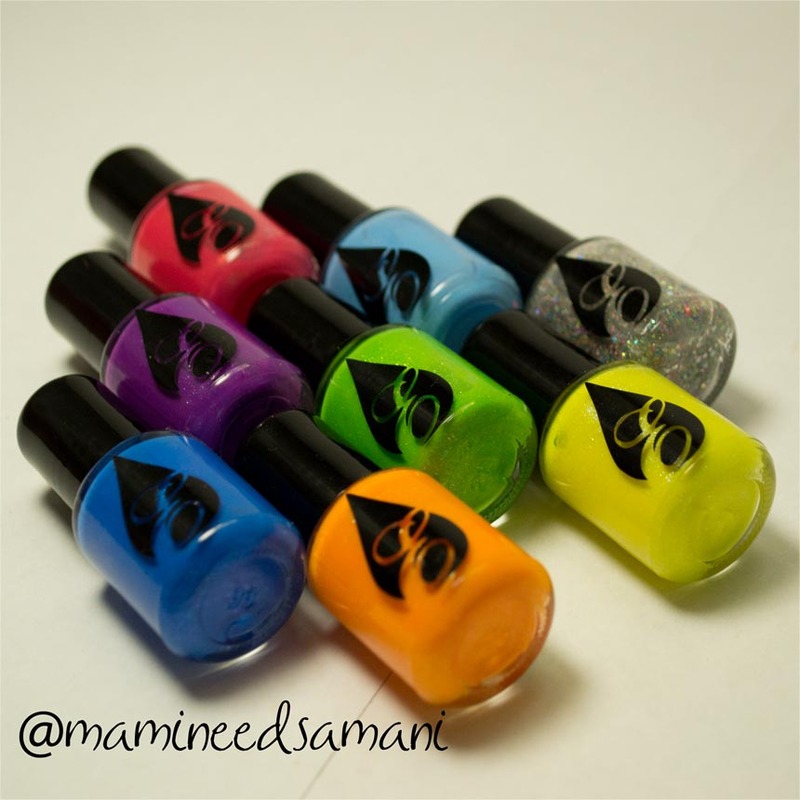 on my index finger, two coats on my middle finger, three on my ring, and four on my pinkie! 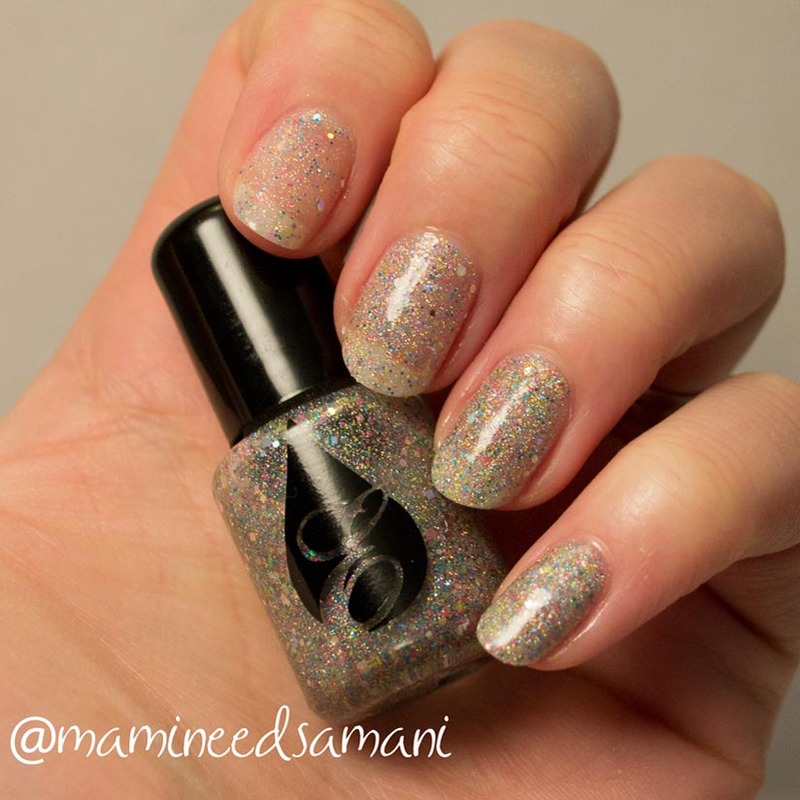 It can totally be worn as a topper and/or a full coverage super fun glitter! Only OPI top coat on this one, and no undie. The application was easy, formula good, and coverage...totally buildable! Overall, I do enjoy this collection. 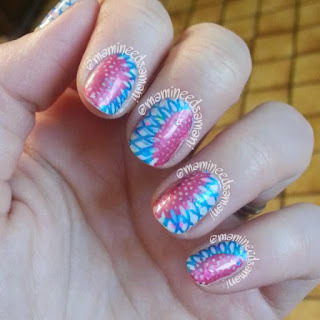 There are some tricky ones in there, but I really love the colors, and I can see myself reaching for a few of these over and over again! 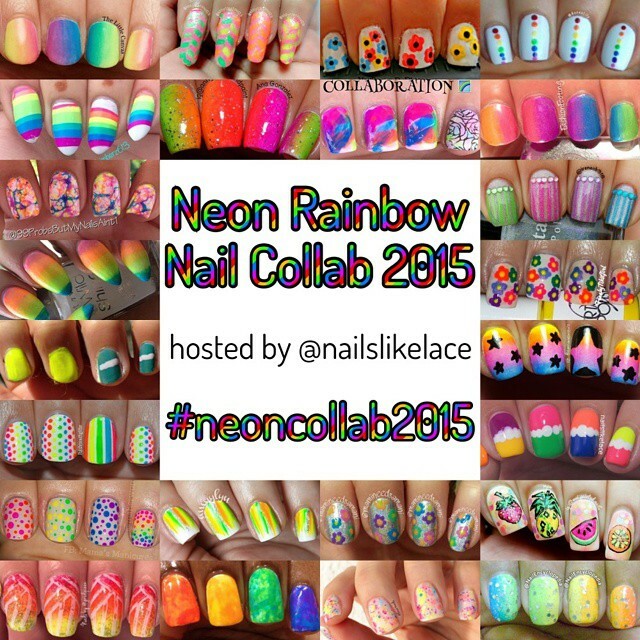 I'm so excited that I got to participate in another Rainbow Collab hosted by Nails Like Lace! The first one was so much fun. This time, though...it was NEON rainbows! Take a look below for my submission, and the full collaboration! Full group shot. So fun! A while back, one of the amazing ladies that I'm proud to call my friend within the nail community, came up with the idea to do a collaboration for a sweet mama - another amazing lady I can call my friend - who lost her baby to full term stillbirth. 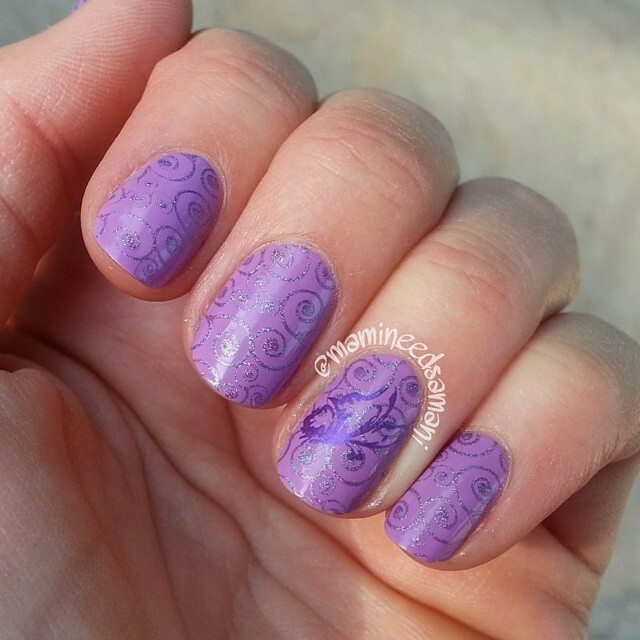 60 ladies decided to remember and honor Rowan with their purple manis, many of which with butterflies which represent sweet Rowan. 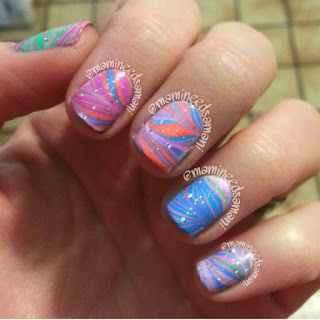 Did some water marbling with my new China Glaze Electric Nights collection. 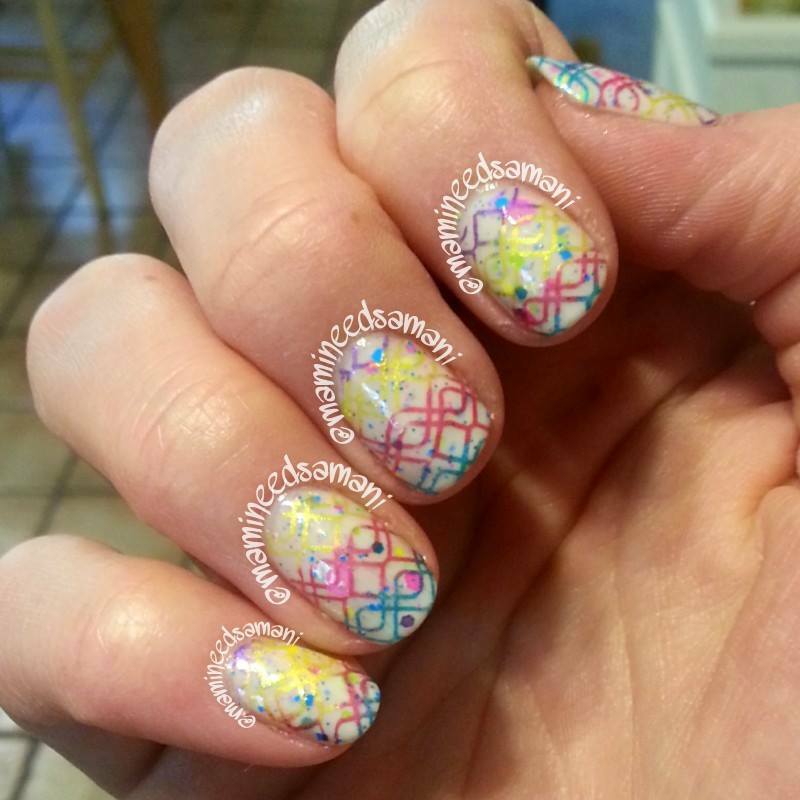 Multi-color stamping using M Polish; Polish Of My People collection. More multi-color stamping using M Polish; Polish Of My People collection. Prompt: Polish Roulette - My husband picked the polishes. to celebrate. M Polish Hottie stamped over Color Club Beyond. Hope you enjoyed these mani's! Stay polished.